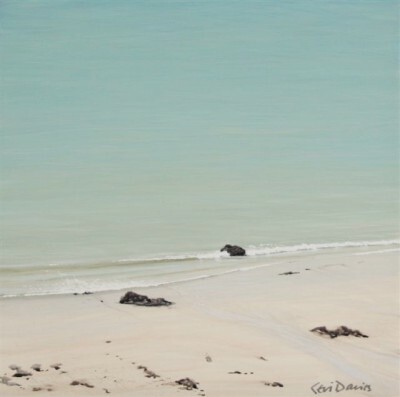 Right now we are waiting for new Ceri AUCKLAND DAVIES Art to arrive at the gallery. In the meantime, here is a selection of the artist's archived art work which has featured at Red Rag Art Gallery. 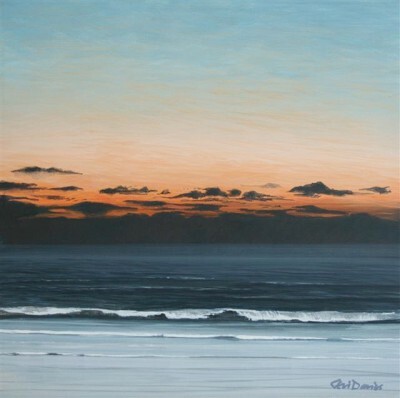 If you wish to register to receive updates and alerts when new art work from Ceri AUCKLAND DAVIES arrives select this link. 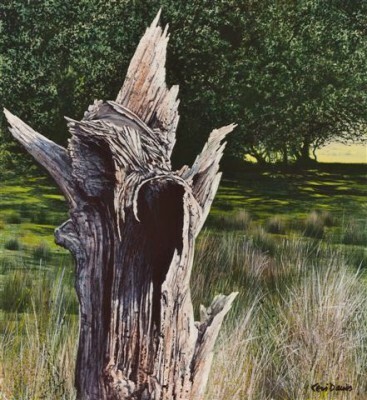 Welsh artist Ceri Auckland Davies was born in 1951. He studied art at Dyfed and Newport Colleges of Art. After college Ceri decided to pursue a career in the Educational world teaching art in schools and adult colleges. Throughout the 1990's Ceri Davies continued to teach whilst at the same time participating in mixed and solo art exhibitions across the UK. The new millennium saw Ceri focus on painting full time and he has been a professional artist ever since. 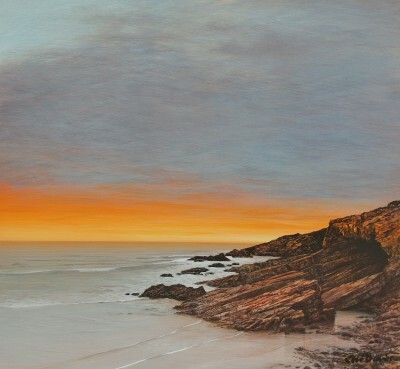 The thrust of Ceri Auckland Davies paintings are landscapes and seascapes of his native Wales, although he is equally skilled in capturing the magic and atmosphere of Venice. 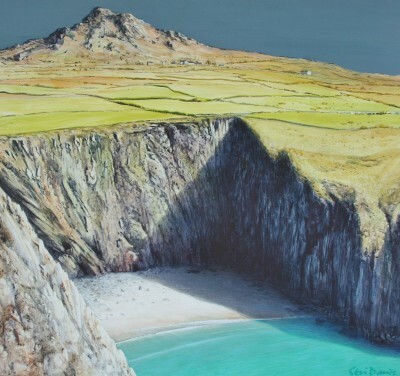 Ceri captures the moods of his landscapes and seascapes in small bold sketches on the spot, later to be worked into large charcoals and paintings in his art studio. Ceri's work fuses realistic elements with an abstract composition. To a certain extent the actual locations represented in the paintings are incidental to the atmosphere they portray. 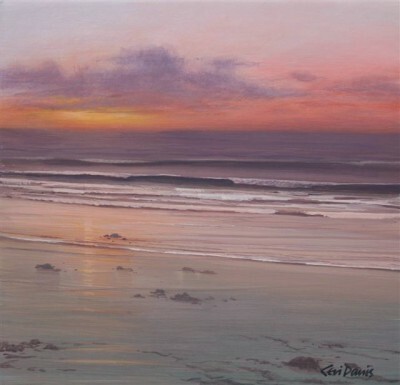 Composition is all important to Ceri Auckland Davies and he spends an enormous amount of time getting things just right. 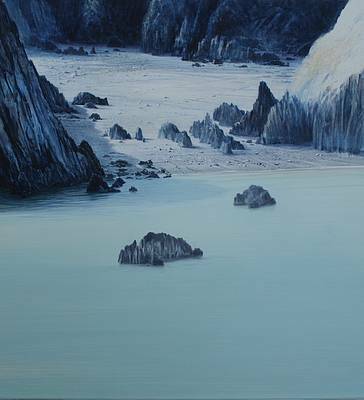 He is one of just a few Welsh artists using the traditional egg tempera painting and a member of "The Society of Egg Tempera Painters". 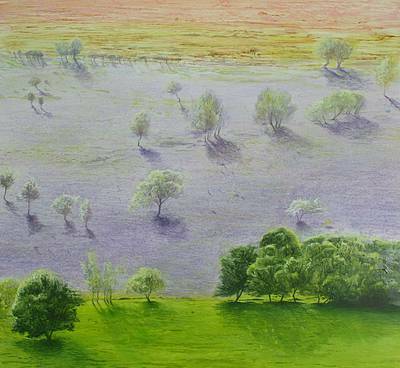 There is a luminescence to his paintings that isn't achievable with oils and watercolours. Today Ceri Auckland contemporary paintings are in art collections throughout the world including the National Library of Wales' collection as well as the National Assembly. Paul Joyner of the National Library says of Ceri's work: "The tempera paintings of Ceri Auckland Davies suggest completeness. Sometimes that is seen as peace or harmony, other times it can be a sense that time has passed and the scene has settled to the present form. Whatever the true meaning, his paintings set up a dialogue with the viewer, which goes beyond the immediate. 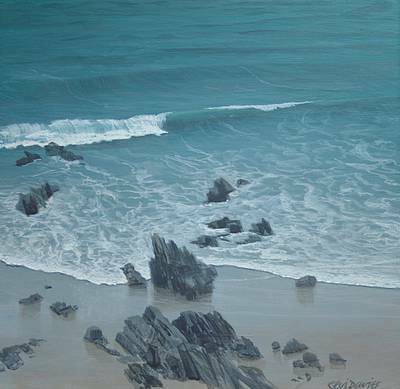 Ceri Auckland Davies paintings express the artist's inner landscape. 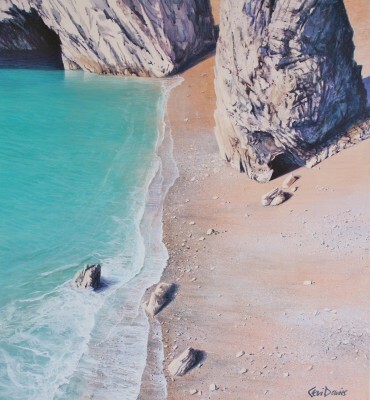 He uses land and sea as a metaphor for what he's feeling and that tension is reflected in his paintings. His seas are sometimes serene, sometimes threatening. The dark caves and caverns hide a world of shadows and hidden depths. Artist Ceri AUCKLAND DAVIES is one of a growing number of artists whose modern art works feature at Red Rag Gallery in Bath. 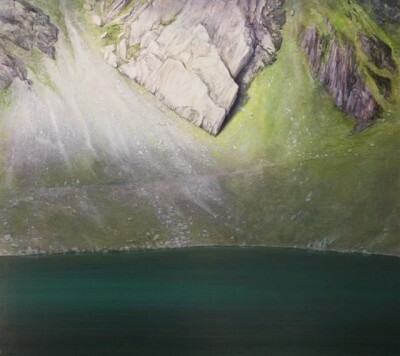 Modern art work from Ceri AUCKLAND DAVIES is regularly exhibited at the Bath art gallery which also offers an extensive choice of modern art, contemporary sculptures and collectible art prints from other present day artists. Should you wish to buy or require further information about modern art from Ceri AUCKLAND DAVIES please contact/email Red Rag Modern Art Gallery or alternatively contact Red Rag on the number below.